There’s no denying how effective regular roof inspections are at saving you time and money on your roof. Capital Coating offers thorough roof inspections to clients in Wayne, PA. A couple roof inspections per year will help prevent your roof from developing costly problems. When you’re ready for us to come by and have a look at your roof, give us a call at (717) 442-0979. With the roof inspections that we offer at Capital Coating, we’ll be able to keep an eye on your roof and prevent damage from accumulating. It’s always best to repair your roof as soon as possible when any kind of leak or issue pops up. This can be difficult to do if you don’t hire a professional contractor to keep an eye out. Many roof problems fly under the radar. 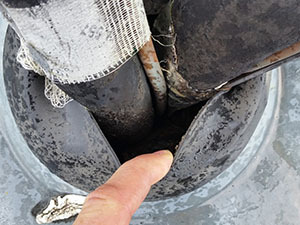 That’s why it’s so important to stay on top of developing problems through regular roof inspections. There is no better company around than Capital Coating to inspect your roof. Our inspections are extremely thorough — we want to make sure that we are aware of all of your roof’s issues before recommending any services. At Capital Coating, we take a look at everything to do with your roof. This includes the flashing, condition of the membrane, ponding water, and more. 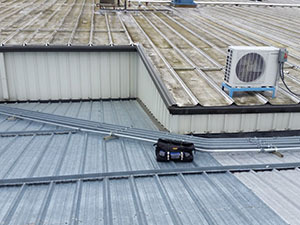 Our roof leak detection helps us pinpoint tricky leaks so that we can get your roof and business back on track. The experienced roofing technicians at Capital Coating are qualified to work on all sorts of roof types. If we find that your roof could use some help, we might recommend a roof coating. By applying a seamless membrane, your roof will last years longer without developing any leaks. Plus, roof coatings can cut down on your energy costs because of the reflectivity of the membrane. When you’re ready for a roof inspection, give Capital Coating a call at (717) 442-0979. As a full-service company, we’ll be able to help you with whatever it is your roof may need. Capital Coating is the most trusted roofing company for the people of Wayne, PA. We look forward to helping you save time and money on your roof!